Linux has different set of commands to check the usage of memory. The free command shows the total amount of free and used physical and swap memory in the system, as well as the buffers used by the kernel. It is important to check memory usage so that resources do not fall short and users are able to access the server. Suppose a website is running form a webserver, then we require enough memory to serve the visitors to the site. If we have not enough memory then the site would become very slow or even go down when there is a traffic spike, simply because memory would fall short. You can check memory usage is to read the /proc/meminfo file. The same file is used to know the free and other utilities report of free and used memory (both physical and swap) on the system. free command displays the total amount of free and used physical and swap memory in the system, as well as the buffers used by the kernel. 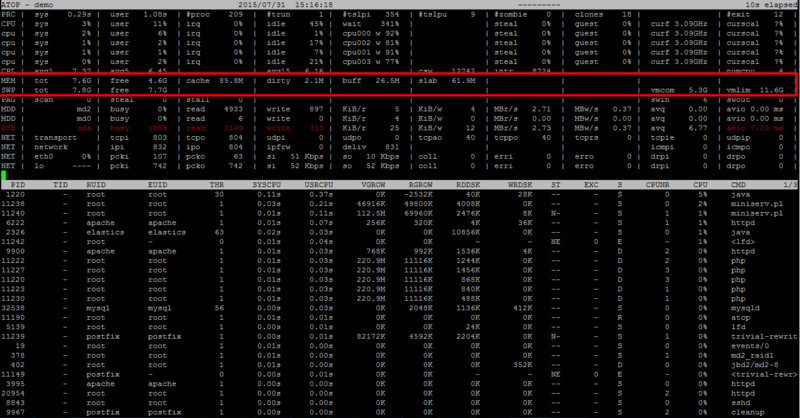 The vmstat command with the s option, lays out the memory usage statistics much like the proc command. The program atop is an interactive monitor to view the load on a Linux system. This program can display the amount of used and free memory, i.e. cpu, memory, disk and network. 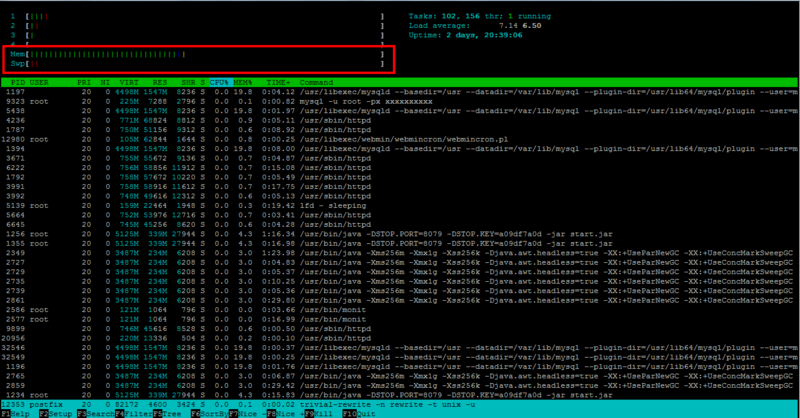 It is similar to top, also allows you to see all the processes running on the system, with their full command lines. The top command show a real-time view of a running system. It can also display system summary information as well as a list of tasks currently being managed by the Linux kernel.